A symbol of the times. Germany: Jakob, Janes, W. Busch, Zielinski, Münzenberg, Bender, Lehner, Siffling, Conen, Szepan, M. Heidemann. Austria: Platzer, Cisar, Sesta, Wagner, Smistik, Urbanek, Zischek, Braun, Bican, Horvath, Viertl. Goals: 1:0 Lehner (1. ), 2:0 Conen (29. 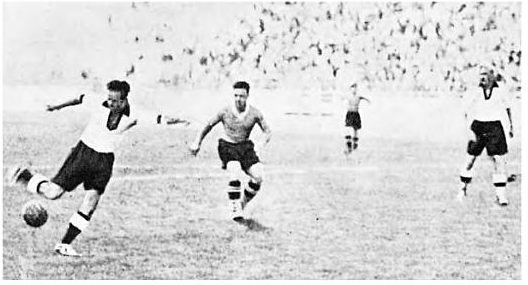 ), 2:1 Horvath (30. ), 3:1 Lehner (42. ), 3:2 Sesta (55.). 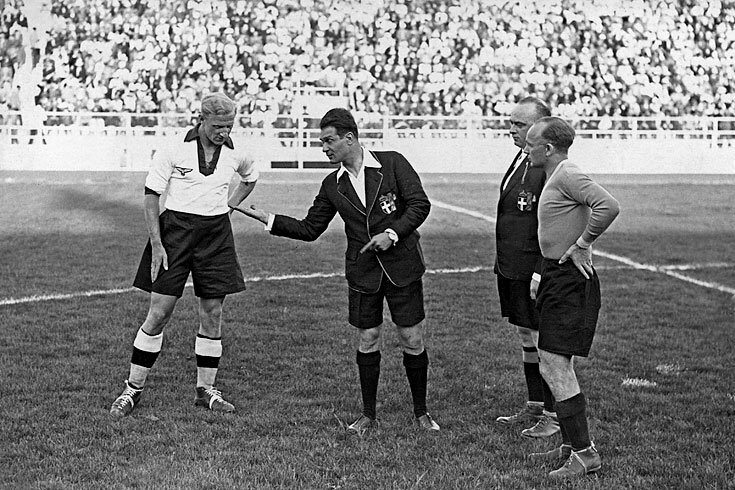 Szepan, referee Carraro and the Austrian captain in Naples. Jakob making a save against Austria. 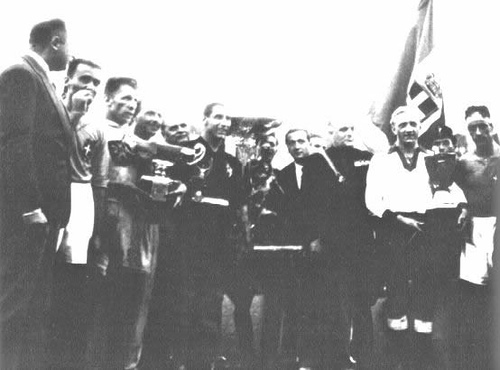 Szepan (right) and the other first three teams in the 1934 World Cup. This entry was posted in 0-9.000, 1930-1939, 1934, Austria, Naples, Neutral field, Team photo, Third-place match, Tournaments, World Cup, World Cup 1934. Bookmark the permalink.